Q: What do you teach here at UTSA and what inspired you to teach? I’m adjunct teaching at UTSA and Our Lady of the Lake, teaching literature and composition mainly. I’ve also taught creative writing courses in the past, so basically anything to do with writing and literature. I’m game because I love it all, but my specialty is contemporary Gothic discourse in multicultural young adult and new adult literature and performance with an emphasis in decolonial theory. Before teaching at the collegiate level, I taught high school English. I got into teaching because I found that stories are powerful and enchantingly subversive tools for altering personal and political realities [because the two are intimately connected]. If you want to start a revolution, teach rhetorical savviness and take deep dives into characters’ heads; it alters imaginations and – subsequently – lives. Q: Where did you go to college and what made you want to become a professor? I earned my A.A. at Northwest Vista College, my B.A. at Schreiner University, my M.A. at Our Lady of the Lake University and my Ph.D. here at UTSA — all in English and creative writing. So, I’m a Wildcat Willie-Mountaineer-Saint-Rowdy Roadrunner amalgamation. In short, I became a teacher because the classroom atmosphere generates new perspectives, new patterns of thought — all begotten from attentive dialogue and inquiry. That’s like double-shots of espresso to the senses. And I like coffee. Additionally, I find the upcoming generation to be both parts enraged and hopeful–a good combination. Talking with young, woke and creative folks is refreshing and gives me courage. PSA: Please vote this November. Q: Where you are from and have you faced any struggles to get to where you are today? I’m a First Gen college student from a small town in Texas, which has its pro’s and con’s. On one hand, being First Gen gave me certain freedoms. Nearly any degree was seen as advantageous, and an accomplishment by my family, which allowed me to pursue my passion. 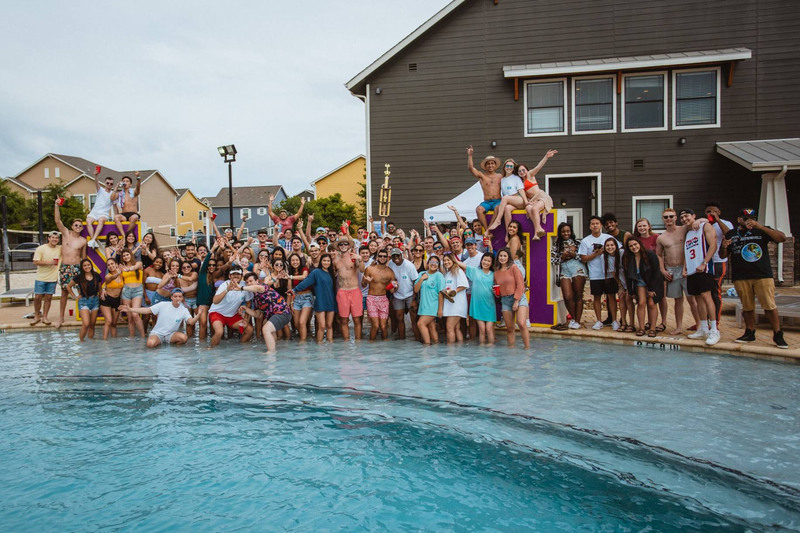 However, acquiring an education often changes one’s point of view, and one risks diverging from tradition and disrupting family consensus, shall we say. 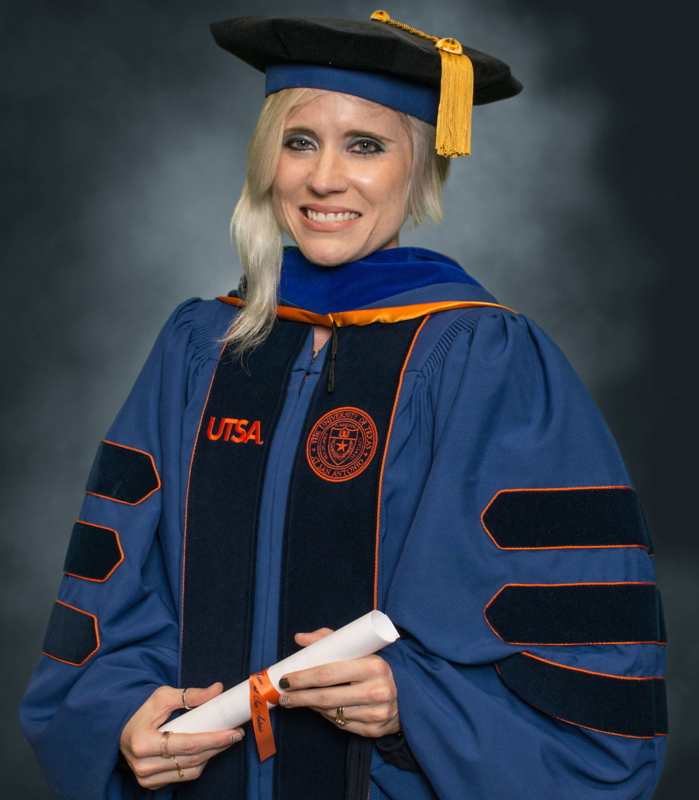 Conversely, in academia, I often have to deal with imposter syndrome, especially when I get the occasional elitist side-eye, like “what is this upstart country gal doing here having opinions and such?” Fortunately, many faculty at UTSA have been supportive and encouraging, and I would also encourage those First Gen students to persevere and give yourself permission to be wholly you — roots and all. Q: Literature can be a great tool and I was wondering how your knowledge of literature has helped you in your life? Literature saved my life. I dealt with major clinical depression in my teens and twenties, and literature is what helped me sometimes escape, sometimes confront metaphorical demons. In texts, I found comradery with characters and inspiration from well-crafted sentences that rewired my brain. While literature didn’t “cure” me, it did provide this space that lent me a grace of suspension, a different vantage and eventually a path of empowerment through the act of creation. We are storied beings, and narratives are supple. The stories we tell ourselves have power, and we in turn have the power to tell different stories.